The Nikon 80-400mm f/4.5-5.6G ED VR Lens improves on the Nikon 80-400mm f/4.5-5.6D ED VR lens with a closer minimum focusing distance (5.74' vs 7.5') and an increased overall aperture range. The vibration reduction has also been improved, with compensation of up to 4 stops compared to the previous model's 2 stops. 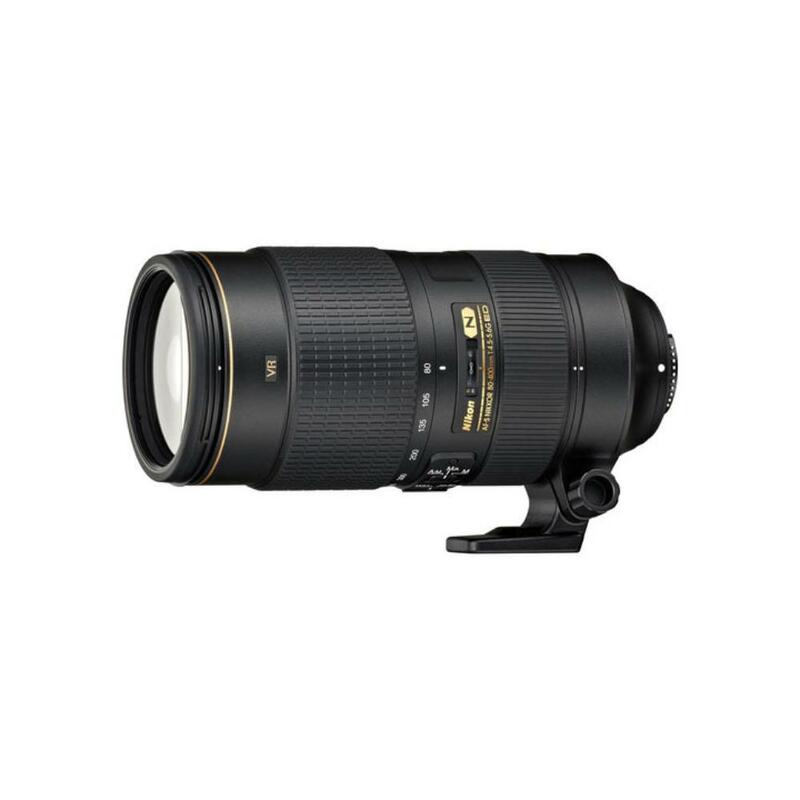 The Nikon AF-S 80-400mm f/4.5-5.6G ED VR Lens can be paired with both full frame sensor cameras, such as the Nikon D810, and with crop frame sensor cameras, such as the Nikon D7200. The focal length equivalent on crop frame sensors is 120-600mm. This lens is equipped with 2 additional focusing modes: Auto Priority Manual and Manual Focus Priority. Both allow for quick transition from AF to MF with almost no time lag. As of this writing, this is Nikon's broadest focal length range of all their super-telephoto zooms, plus – thanks to the internal focus design – the physical 8" length makes it very easy to handle. This lens is ideal for outdoor sports and wildlife photography, particularly for those having to carry their gear long distances. It's also a great choice for stadium event photography.